JAM yesterday, JAM today & JAM tomorrow! 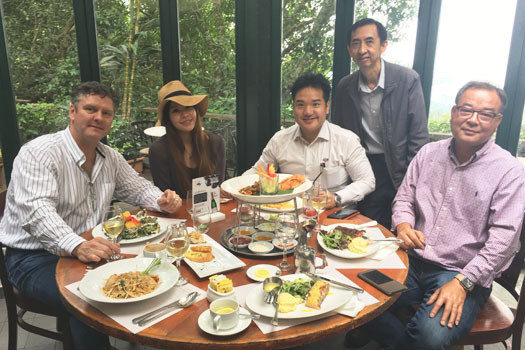 TCB MD Tim Stokes enjoys a celebration supper with the team from Hong Kong distributor JAM Bolts following an agreement for a further 3 years partnership. The long-standing (over 15 years) relationship between TCB Ltd and JAM Bolts continues to go from strength to strength. Flagship projects for which TCB Ltd have supplied JAM Bolts include the extension of Hong Kong Convention and Exhibition Centre; West Kowloon District Museum Plus – M+; China Resources Building, West Kowloon Terminus Station South WKCD, Macau Project – LISBOA, XIQU Centre, Midfield Concourse Works, Lantern Wonderland Geodesic Dome, HK Disneyland, Tamar Development Project & the renovation of Pacific Place Mall.